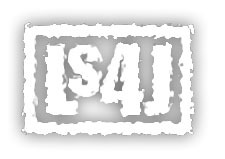 Welcome to ls4j.org, the website for LS4J (Love Songs for Jesus) and Faceless Generation Productions. LS4J is a ministry dedicated to worship, intercession, warfare, evangelism, and the prophetic. For more information check out our Statement of Faith and our Mission and Values. Faceless Generation Productions is the publishing arm of LS4J. It is dedicated to getting anointed worship and literature out to the Body of Christ, without glorifying a man in the process. The copyright policy of Faceless Generation Productions can be summed up by two phrases: "Freely you received, freely give." and "You have the right to copy it."